Whether it’s termed customer or colleague satisfaction, David Lundal is focused on not only ensuring those he serves have the technology they need to deliver superior patient care, but are happy to call IT when they need help with it. Specifically, the massive and complex organizations he calls home are well along the road of implementing just about everything Epic has to sell, in just about all their entities. To learn more about both his organization and how it’s working to have IT seen as sound service provider, healthsystemCIO.com recently caught up with the long-time IT professional. … the higher they think of us, the more they value what we do, the better chance I have of getting those resources. Guerra: Good morning, David, thanks for joining me to talk about your work at Dean Health System and SSM Health Care. Lundal: Yes, thank you, happy to be here. Guerra: I think we will start by talking about those organizations. I have down here you’re VP and regional CIO at both of them. Can you just explain to me your relationship with those systems and what their relationship is, if any, with each other? Lundal: Sure. It may take a minute. It’s fairly complicated on all of that. Guerra: Now I know I asked the right question because I was having trouble figuring it out, so I’m looking forward to hearing it. Lundal: Just so you know, sometimes it takes me a half hour to explain everything just on this question to people, so it might take up your whole podcast. (laughing) I’m employed by SSM Health Care, and SSM Health Care actually has a company that is devoted to technology, both information and clinical engineering technology. It’s called SSM Integrated Health Technologies. We folded in clinical engineering about 4 or 5 years ago, maybe longer, time flies, but we do all of the technology for all SSM Health Care organizations. SSM Health Care is in 4 states: Missouri, Illinois, Oklahoma, and Wisconsin. The way we’re organized there is we have a CIO for the system. His name is Tom Langston, and he is a senior vice president for SSM Health Care. Then SSM Health Care is divided into regions, so there’s a St. Louis network, there’s an Oklahoma network, and there’s a Wisconsin network. Then, actually, we have some businesses that don’t fit neatly into a network, and for all of those we have a regional CIO, and I’m one of the regional CIOs. I have responsibility for all of the SSM business in Wisconsin, excluding clinical engineering. Clinical engineering reports back to a vice president that is down at our corporate headquarters in St. Louis. So that’s my SSM piece. On the SSM Health Care business in Wisconsin, there’s St. Mary’s Madison, which is the large hospital in the organization here in Wisconsin. There’s St. Clare in Baraboo, about a 100-bed hospital up in Baraboo, Wisconsin, by the Wisconsin Dells. We just opened a brand new hospital down in Janesville, Wisconsin, St. Mary’s Janesville Hospital, a 50-bed hospital that is already full; they’re full quite often I should say. Then we have a couple of nursing homes. Then SSM of Wisconsin gets into some different organizations where there are joint ventures and other arrangements that make it, let’s say, an integrated delivery network or a 3-legged stool, and that’s where Dean Health System comes in. So Dean Health System is a large business, about $1.5 billion in size business with Dean Clinic being the largest piece of that, a very large multispecialty group clinic. Then Dean Health Plan, which is about a 300,000-member health plan here in Madison. SSM Health Care is partnered with Dean Health System in both of those businesses. SSM Health Care has a small ownership stake in Dean Health System, but then a 47% ownership stake in Dean Health Plan. So that’s where Dean Health System and SSM Health Care of Wisconsin are connected. Many years ago, back in 1999, both Dean Health System and SSM of Wisconsin formed a joint technology venture called WIITTS, which stands for the Wisconsin Integrated Information Technology & Telemedicine Systems. Fairly modest goal there, but the intent being that since at St. Mary’s Hospital about 90% of the patients are cared for by Dean physicians, then let’s have any technology that is about the patient, let’s do that together, and that’s what happens in WIITTS. For instance, the contract for the Epic electronic health record here in Wisconsin is at WIITTS, and that’s how I started to slowly get connected into the integrated delivery network. I started as a regional director of IS for the hospitals and started doing more and more with WIITTS, eventually was co-running WIITTS with the vice president of IT at Dean Health System. Then he decided to move on and then I was solely running WIITTS and the IT business at the hospitals. Then in the spring of 2011, they said, ‘Hey, let’s just make Dave the full-time guy and give him a contract to also be the vice president of IT on the Dean Health System side.’ So that probably creates more questions but that’s the shortest I can get it. Guerra: Wow. All right, so technically you work for SSM Integrated Health Technology. Guerra: I’ve spoken to other CIOs in other organizations where the technology department is set up as a separate business, so I’m familiar with that model. One positive aspect of the arrangement is that it can really drive home the concept that you are servicing customers, right? Lundal: Yes, that’s an interesting question, Anthony, because we actually, about 6 months to a year ago at SSM Integrated Health Technologies, dropped the word customer from our vernacular. We had been using it quite often. Our help desk was called the client response center. Our satisfaction surveys we sent out were called customer satisfaction surveys. Definitely it was that mindset that we are in a position to serve the end-users at the hospitals and the other businesses. So, yes, that definitely was helpful in that mindset but then, on the flipside of that, I’ll give you an example. When we were rolling out Epic, sometimes – because we have a large health system – staff would travel to a go-live that don’t normally work at that hospital. The people there would think that we were Epic employees, not SSM employees, and that really got especially our CIO, Tom, thinking about the fact that we’re part of SSM Health Care, as well. We’re not this separate company that just does what everyone says. We’re in the mix. We’re part of it. We’re part of the decision-making. We have the same mission that everyone else does and the word customer, in that vein, connoted something different. So we’ve been using the word colleague internally, so it’s now a colleague satisfaction survey. That is an awkward word to me, still trying to get used to that, but I understand the point of what we’re trying to do there, and I don’t know which way to land on it. I still find myself having a hard time saying colleague. I’ll say end-user now more and more on this because the bottom line for me is, with regard to some of the things that we need to get done, I need people to think very highly of what we’re doing in the organization that we have. I, for years, tried to keep a mindset from my earlier days when I was working for a “vendor” that the things you do there help you keep clients. They continue to re-sign with you on a contract. Now, that’s not an option for our hospitals but, as I tell new employees, the benefits they have include that when they call us, when they call you, new employee, you want them to be happy to call you and say, ‘I’m happy to call Joe because Joe helps me and I’m in a mess and Joe’s going to help me out of it,’ versus, ‘Oh, crap, I have to call Joe, I have to call IT, they’re such a pain.’ So it’s just a better environment for staff. Then the final thing I usually bring up is budget seasons get pretty tight, and the way healthcare’s going, more and more of the activity to help businesses thrive and survive need more technology. So one of my biggest jobs every year now seems to be making sure we have enough resources to do everything the business wants us to do. Again, there, the higher they think of us, the more they value what we do, the better chance I have of getting those resources. So, to me, that customer mindset is important. So it’s a dynamic that’s there. I think that, both in integrated health technologies and in WIITTS, we do have that advantage because we’re not a department. We are a separate company. Especially in WIITTS, we are a separate company because in WIITTS a lot of the businesses that we have, that we’re supporting on the Epic system, are not under a single ownership. There are different CEOs, different boards, etc., so we definitely have to have that mindset. Guerra: So it’s a complicated arrangement and you’re reporting to Tom Langston? Lundal: Yes, Tom Langston. He’s my solid line boss and he’s down in St. Louis, the CIO for all of SSM Health Care. Then, here in Wisconsin, I tend to mostly dotted line to the CEO of SSM of Wisconsin. Usually, when I meet with him, the CFO is usually there as well. Really, depending on the topic, I might take it just directly to the CFO because it’s really more something that he would deal with than the CEO; it’s not something strategic, it’s a little more tactical. Then, on the Dean Clinic side, Allison Mooney, who’s the chief operating officer of Dean Health System, is who I report to on that contract. Guerra: So Tom is not part of the integrated health technology company. Lundal: I think how a lot of health systems work is Tom probably technically is on the payroll of the corporate office. He used to have the title of President of Integrated Health Technologies. I think that was dropped a couple years ago, but he’s in charge of Integrated Health Technologies. Guerra: Tell me again what’s under your privy. You’re a regional CIO of, did you say, about 4 hospitals and some other components? Lundal: Yes, so I have SSM Integrated Health Technologies business here in Wisconsin, I have the WIITTS organization, and then I have a couple departments in Dean. I have the information technology department and I have the decision support department. Guerra: Those organizations right now are serving a number of hospitals that are implementing Epic, correct? Lundal: Yes, so let’s talk about the customer base. There’s that word again. Lundal: Yes, the colleague base. 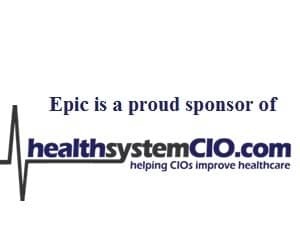 Our main product is probably the Epic electronic health record and we just, this past spring, passed 12,000 users on our Epic instance here in Wisconsin. There are 6 hospitals live on the system. There are the 3 wholly-owned SSM Health Care of Wisconsin Hospitals, and then we have also brought 3 affiliate hospitals, all critical access hospitals, on the system: Edgerton Hospital, Columbus Hospital, and Stoughton Hospital are all live. SSM has varying minority interests in each of those hospitals. Dean Clinic is fully live on the system and they’re – I lose track of the physician count, I’ll add everything up here in a second. So Dean Clinic’s fully live and then the other group that’s live is St. Mary’s Dean Ventures, which is another partnership where SSM of Wisconsin has a 50% stake and Dean has a 50% stake, and there are 2 core pieces of that business. One is a rural primary care network in the surrounding 18-county territory and then ambulatory surgery centers. So all of those are live. When you add up all of the ambulatory business, I think we’re at 954 providers, just north of 600 physicians, the rest being midlevel providers on the system. So all of that adds up to 12,000 users and pretty much everything Epic has, we have live. Our last big implementation is St. Mary’s in Madison and St. Clare in Baraboo on November 1st —they are going to go live on the Epic revenue cycle, patient accounting, I should say, the resolute program, and Beaker, which is the lab system. That’s the main overview of it. Then we have some independent physicians. We have about 20 independent physicians, 12 of those being in one group. Guerra: Are there any products that you didn’t buy from Epic because you liked what you were using or you didn’t think the Epic module was mature enough at this point? Lundal: We licensed an enterprise version of Epic, so when we licensed at the time in 2006 everything Epic had to sell we licensed for. So that left some things out that they hadn’t yet developed. So, for instance, the Cardiant program, which they’re really still, I think, developing for more of a CVIS system. That was not available at the time so we do not own that, but everything else we own, including the majority of Tapestry, which is an insurance industry program.